If you're an accountant or bookkeeper with a QuickBooks Online Accountant login, you're able to create and manage ServiceM8 accounts for your clients directly through QuickBooks Online Accountant. Read on to learn how. 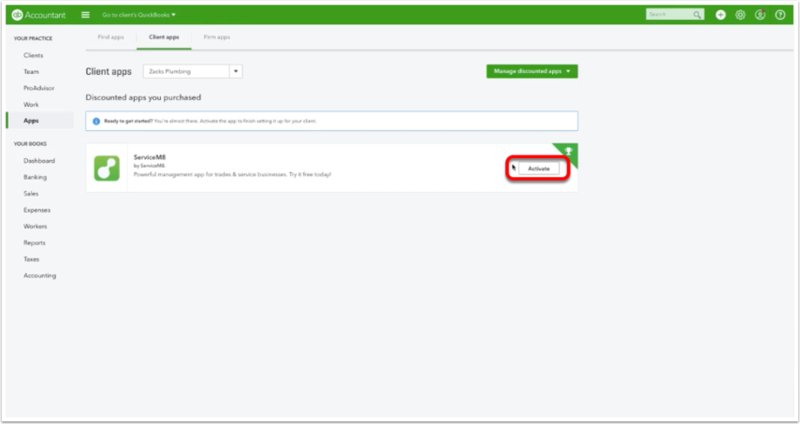 NOTE: if you're simply looking for how to integrate your normal ServiceM8 and QuickBooks Online accounts, this article is not what you're after — click here for how to connect ServiceM8 & QuickBooks Online. Note that as part of the process of creating the ServiceM8 account for your client through QuickBooks Online Accountant, their new ServiceM8 account will be connected to their existing QuickBooks Online account. 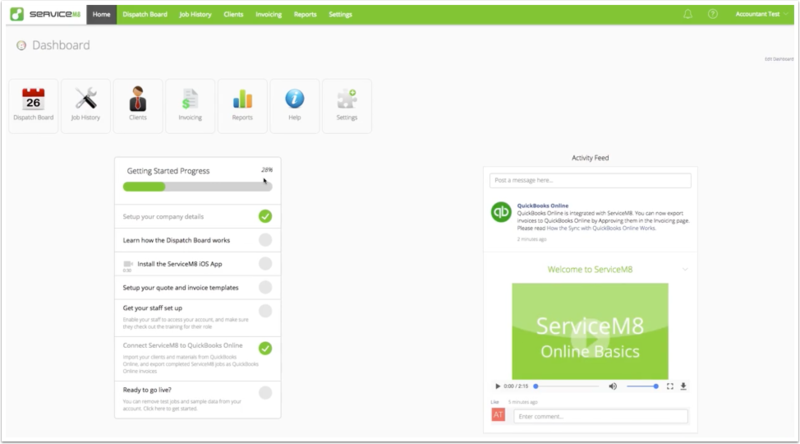 For more info on how the ServiceM8 & QuickBooks Online integration works and what data is synced, click here. You will be dropped into the new ServiceM8 account, which is almost ready to go. Note that if you use the 'Invite Staff' method, whereby the ServiceM8 login credentials will be sent directly to your client, you will need to review the client's Security Role in Settings > Staff > Edit *Name* > Access Rights. For more info on how to add a login to the ServiceM8 account, click here. Refer them to an independent ServiceM8 Partner offering setup & training services. Should you need to access your client's ServiceM8 account in future, you can do so through QuickBooks Online Accountant. See QuickBooks Help for more info. Note that this is the only means of logging into the client's ServiceM8 account — your QuickBooks Online Accountant login credentials will not work through ServiceM8's normal login portals.